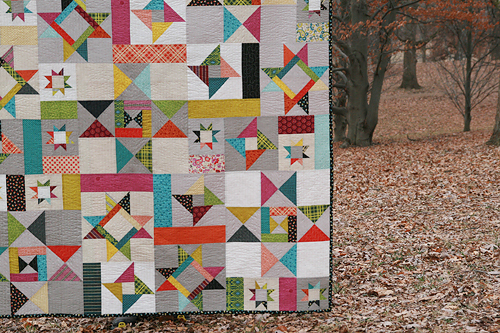 I fell in love, hard, with Denyse Schmidt's Chicopee collection last year. 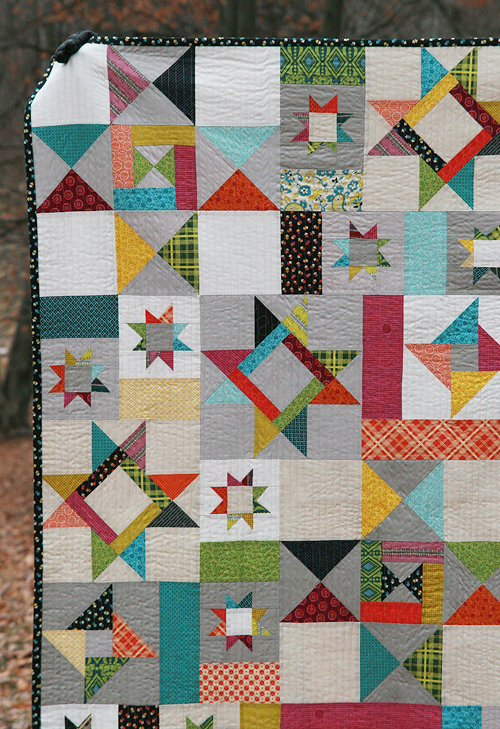 So much so, that I made this second quilt out of the same fabrics. 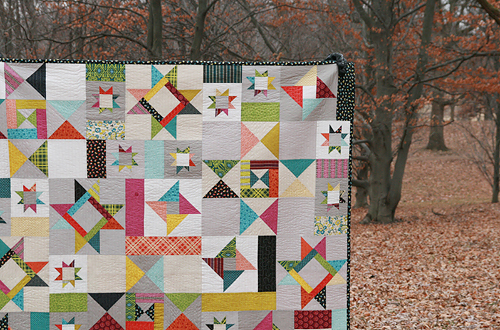 I mixed in a few fabrics from her DS Quilts Collections from JoAnns and one perfect green print from Anna Maria Horner's Good Folks collection. 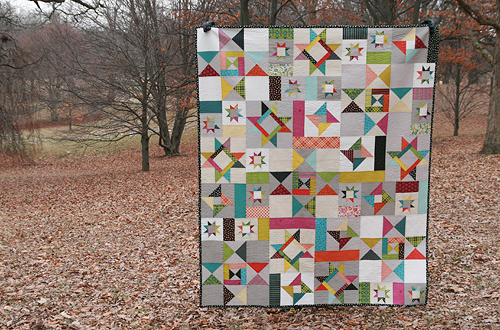 The background is all various shades of neutral fabrics, from Free Spirit Designer Solids and Moda Bella Solids. 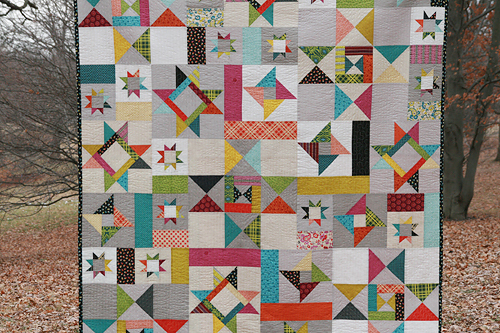 The finished quilt measure 60" x 72" and I quilted it with straight lines, 1/2" apart. As usual, that took awhile but was more than worth it in the end. 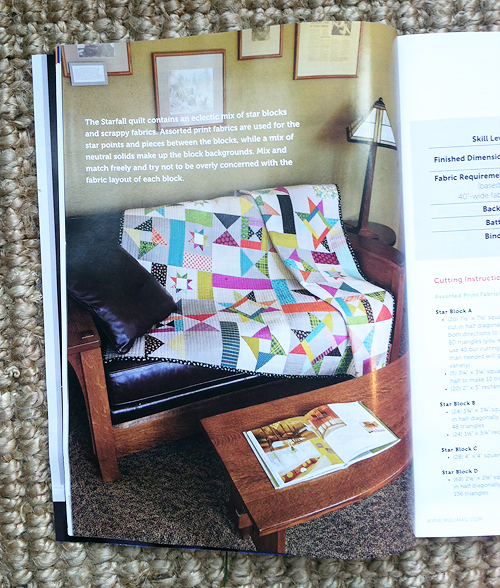 I definitely recommend picking up the magazine - not just for my quilt but for all the others inside. 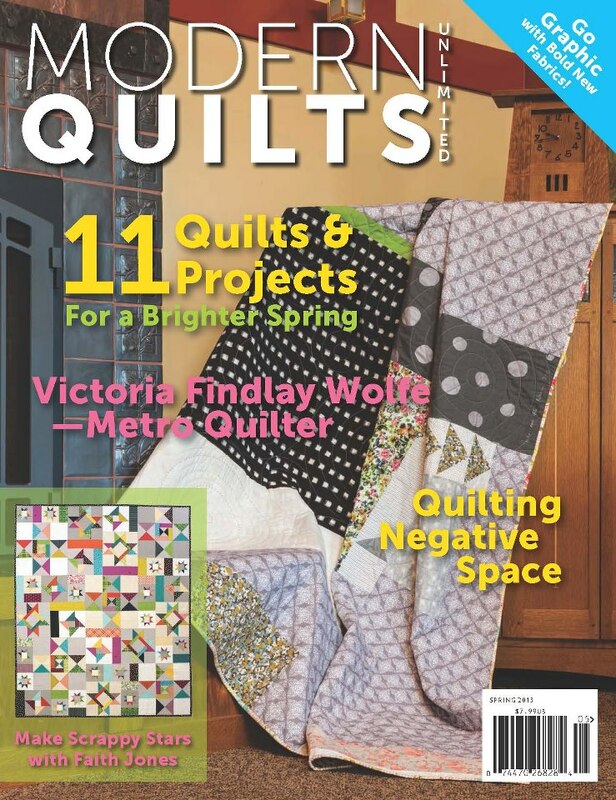 It's full of beautiful patterns by all sorts of names you will probably recognize (Rossie Hutchinson, Patty Sloniger, Patty Young, Elizabeth Dackson, Victoria Findlay Wolfe and many others) and a great article about Negative Space by Jacquie Gehring. I believe subscribers already should have their copies, and you will be able to find it at shops soon (if not already).